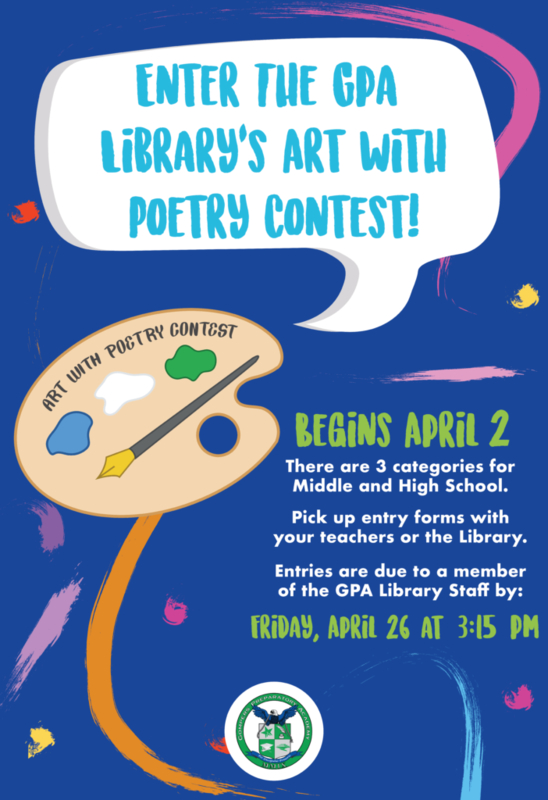 The GPA Library proudly announces the Art with Poetry Contest, beginning on April 2nd! There are 3 categories for middle school and high school. Pick up your entry forms from your teachers, or feel free to get them at the Library. Entries are due to a member of the GPA Library staff by Friday, April 26 at 3:15pm. We can’t wait to receive your entries – good luck!